Every Team must bring some type of dessert to regional competition. All desserts should be boxed or bagged. A description of what the dessert is or what is in it must be placed on the outside packaging. The team name including problem and division must also be on the packaging to designate who brought the cake. A sign up sheet will be located in the Check-in area to verify that a dessert is present for each team. 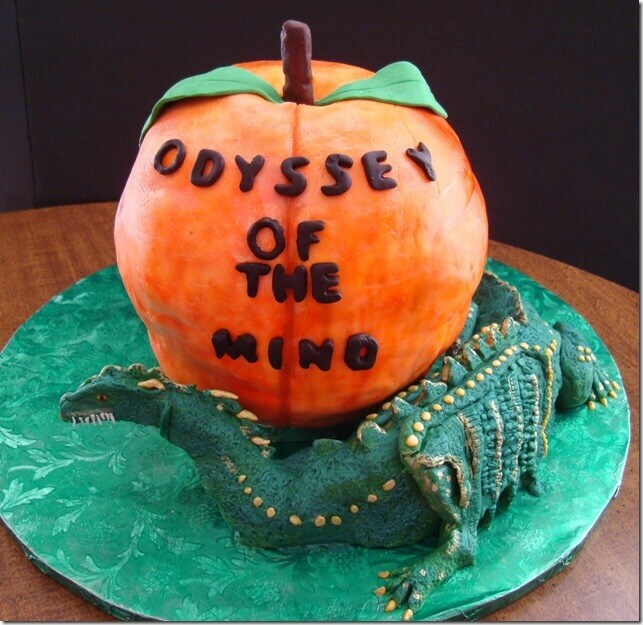 We will have an Odyssey of the Mind Creative Cake BINGO game at each regional tournament. The goodies will be given away as prizes in our BINGO game! All funds will be set aside for our World Finals teams’ to help cover some of the travel expenses. Directions to the BINGO area will be located in the program guide at each competition. Cards for BINGO will be $0.50 each. Here’s that chance for parents to get involved with their Odyssey of the Mind teams and show how creative they are. Each team is already required to submit a dessert, so why not get involved in the CREATIVE Odyssey spirit and go over the top? These desserts will inspire and impress the kids.Each year our contest brings in some great 'CAKES' from some very creative folks. We hope that you will join the competition and have some fun! *Awards will be given during closing ceremonies.